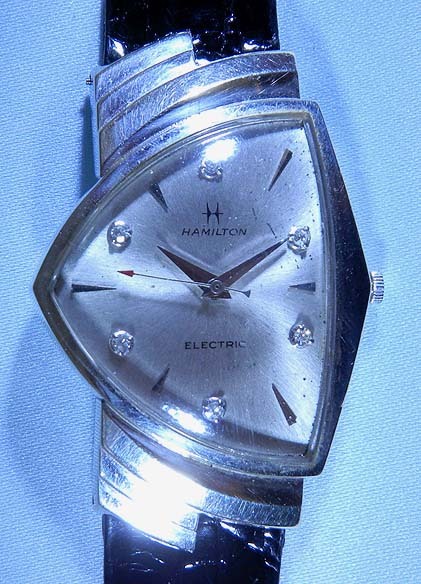 Fine and rare 14K white gold Hamilton Ventura vintage wrist watch with diamond dial circa 1958. 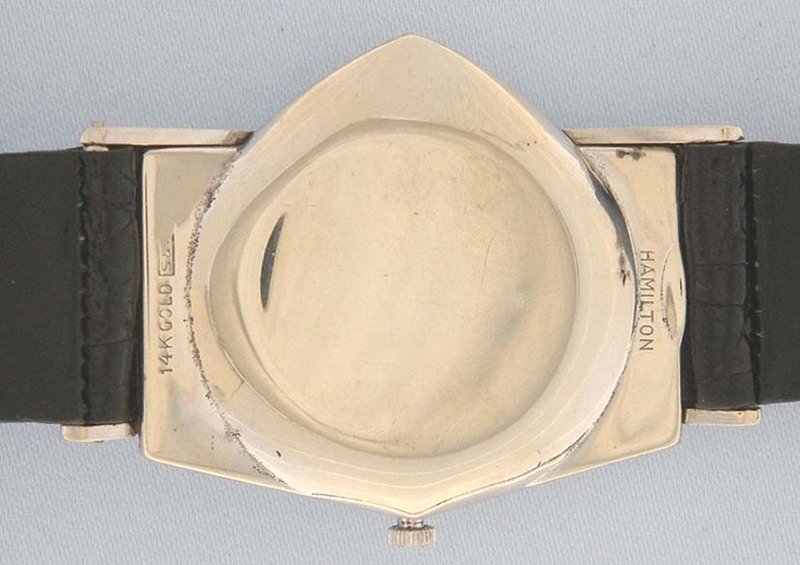 "Distinctive oversized ""space age"" case. 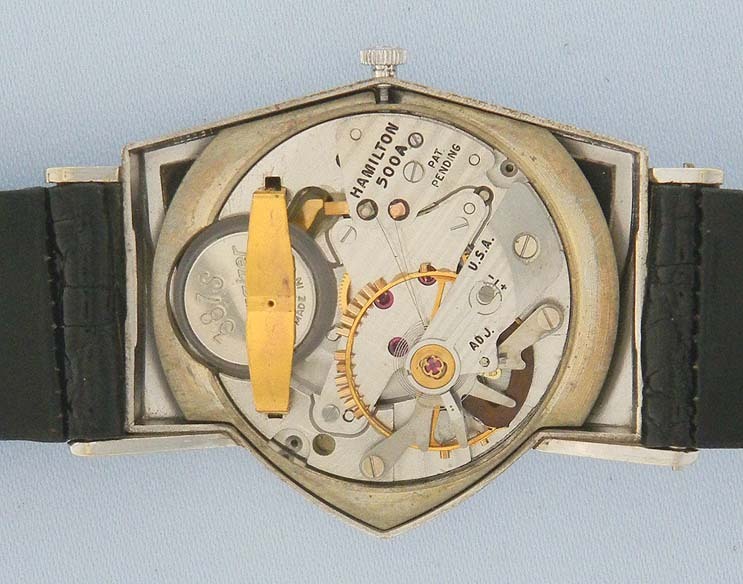 Original authentic Hamilton factory" diamond dial. Calibre 500 battery powered 15 jewel mechanical movement.